With the Big Game just days away, Hormel Foods is dipping into its playbook to help fans get ready. Superstar wide receiver Adam Thielen and “Chopped” Champion Chef Kenneth Temple have teamed up with America’s No. 1 chili to create a chili cheese dip that is truly legendary. Thielen and Temple found inspiration for the recipe in the flavors and favorites of their home states. The chili begins with a base of tots – a classic well-loved staple in Thielen’s native Minnesota. They’re layered with cheeses and Hormel® chili, and infused with a soulful twist, the latter a gift from Temple. Born and bred in New Orleans, he knows how to turn up the heat with the likes of cayenne and Cajun seasonings, not to mention fancy footwork in the kitchen. The flavors of the Big Easy blend with staples from the bold north to create a chili cheese dip that certainly calls for celebration. Heat oven to 425°F. Bake potato nuggets according to package instructions. In medium microwave safe bowl, combine chili, cream cheese, Colby Jack cheese, half and half, salt and cayenne. Microwave on HIGH 5 minutes, stirring after 3 minutes. Season potato nuggets with Cajun seasoning. Place seasoned potato nuggets in large bowl. 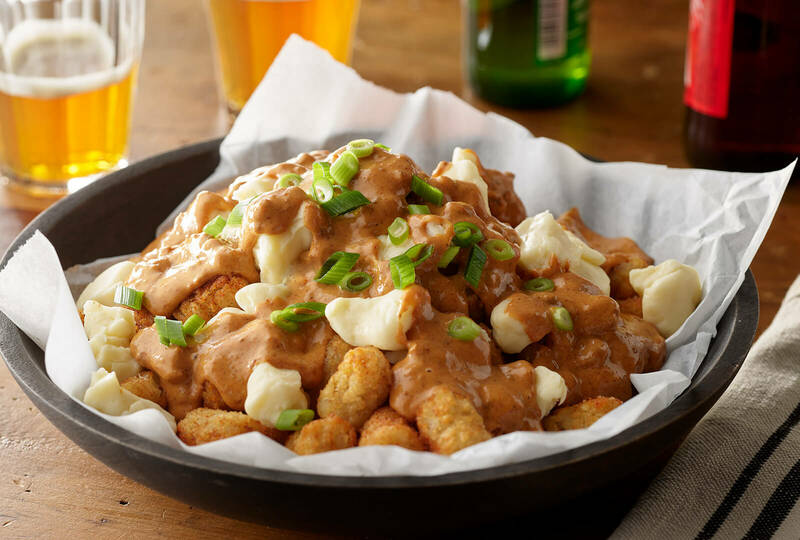 Top with cheese curds. Pour chili cheese sauce over top. Note: You can turn this into a casserole by adding chili cheese sauce to 9 x 13-inch baking pan. Place potato nuggets over chili cheese sauce, season with Cajun seasoning and sprinkle with 2 cups cheddar cheese. Bake 30 minutes in a 350-degree oven. 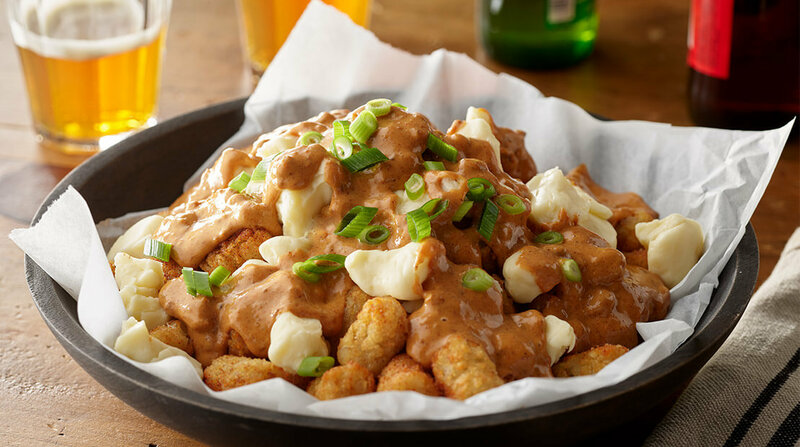 Once casserole is finished baking, top with cheese curds.